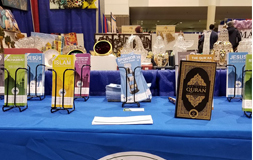 Alhamdolillah AIOF was able to attend the ICNA Convention in Chicago, IL on December 28-30 2017. The theme for this year was American Muslims, Shaping the Future through Faith and Vision. Many of the visitors where very impressed by the projects of AIOF, especially the Quran Mobile and Quran Stand. Alhamdolillah the highlight of the conference was a sister accepted Islam! We pray to Allah(swt) to help us to strengthen the Imaan for those who take the Shahadah. We pray for an easy transition onto the right way of Islam. 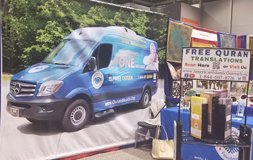 The need for Dawah and community outreach is greater than ever in today’s turbulent political and social environment. 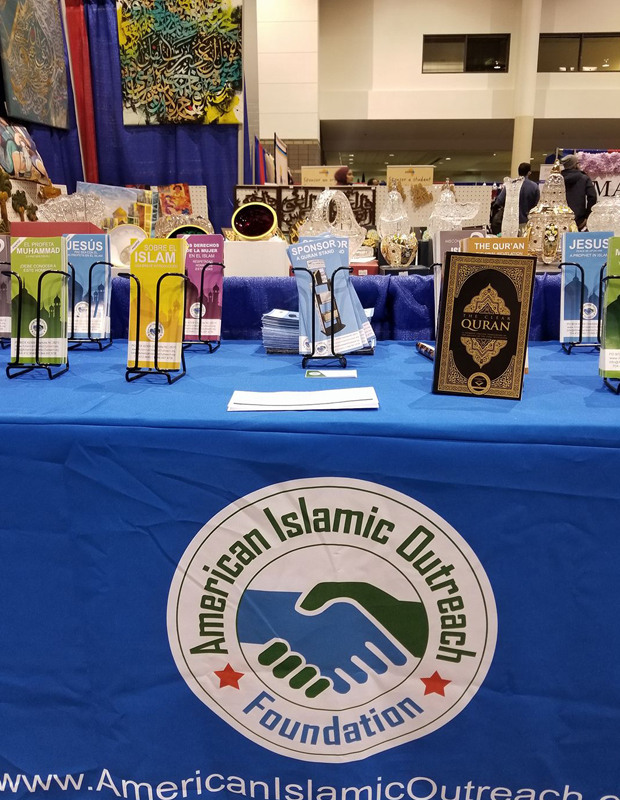 We serve to inform, educate and dispel any misconceptions about Islam through Community Outreach programs. We vision a world that understands and respects the teachings of Prophet Muhammad (peace be upon him).